Trailer for Season 2 of SyFy and DC's "Krypton" is Here with Villains Galore! Sharing with all of you a trailer for DC's upcoming series "Krypton" season 2 trailer. "It's a bad day to be a hero. Krypton returns to SYFY later this year. Set two generations before the destruction of the legendary Man of Steel’s home planet, Krypton follows Superman’s grandfather (Cameron Cuffe, The Halcyon) — whose House of El was ostracized and shamed — as he fights to redeem his family’s honor and save his beloved world from chaos. Based on DC characters, Krypton is executive produced by David S. Goyer (Man of Steel, Batman v Superman: Dawn of Justice, The Dark Knight trilogy). Cameron Welsh (Ash vs. Evil Dead) serves as executive producer and showrunner." Here is the trailer for season 2 of SYFY's "Krypton" show. 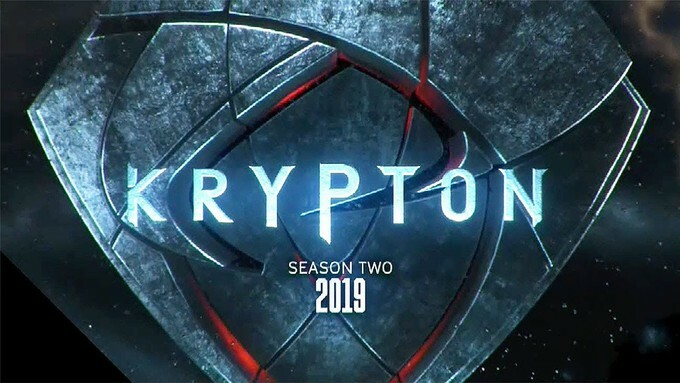 What do all of you DC lovers and haters think of the "Krypton" season 2 trailer? Zod, Doomsday, and Brainiac! Hell yes! Stay Strong, Live Good, Love Movies & TV!